Scaletec recently participated in the 52nd NAMPO Harvest Day, held in Bothaville, South Africa. 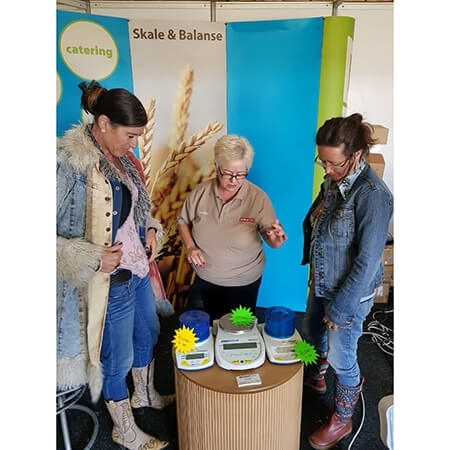 During the event, we presented a range of Adam scales and balances specifically designed for agricultural use, including the GBK bench scale, CQT grain scale, MIF mechanical hanging scale, GK indicator, and CNP and GFK scales. NAMPO was attended by more than 81,000 people, primarily from the agricultural sector. It was a highly successful exposition with a record level of sales made during the course of the exhibition. Each year, NAMPO hosts a Harvest Day, as well as other exhibitions like NAMPO Cape. Open to all producers and other role players in the agricultural industry, NAMPO Harvest Day offer the latest in the latest technology and products on offer in the farming industry first-hand and on one terrain. 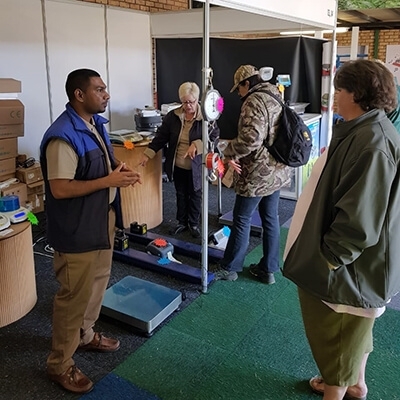 NAMPO Harvest Day, founded in 1967 just outside of the town of Bothaville, offers a multifaceted presentation that offers a wide spectrum of the agricultural industry from producers to workers. NAMPO Harvest Day includes more than 650 exhibitors and industry representatives, and others involved in and committed to ensure sustained food production in South as well as Southern Africa. 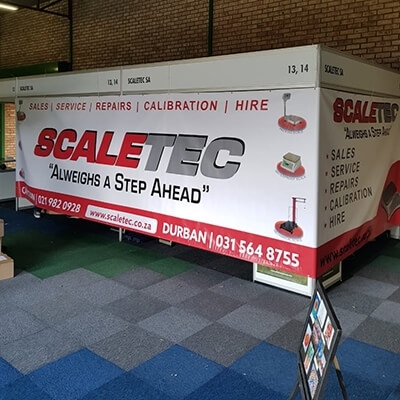 Scaletec sold a number of products during NAMPO, including GBK scales for farmers who need to weigh wooden crates of fruit; the audible check weighing light system quickly ensures the amount weighed out is correct for that particular product. We also sold pallet weighing beams with GK indicators. They're used in conjunction with metal cages to weigh cattle and livestock. 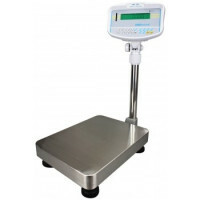 Other products sold included MIF mechanical hanging scales for weighing produce and meat, as well as the CNP and GFK scales for weighing bags of mielie. 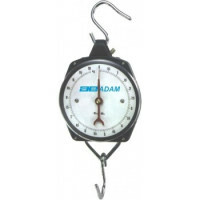 Scaletec offers a wide range of scales and balances, including the full line from Adam Equipment, and we have been factory trained by the UK to supply sales and service support. The products that Scaletec provide do not just apply to agriculture, but also to industrial, retail catering, laboratory and medical markets. 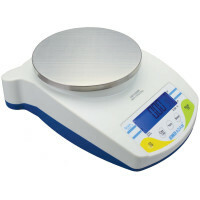 For more information check out our Agricultural and Farming scales.